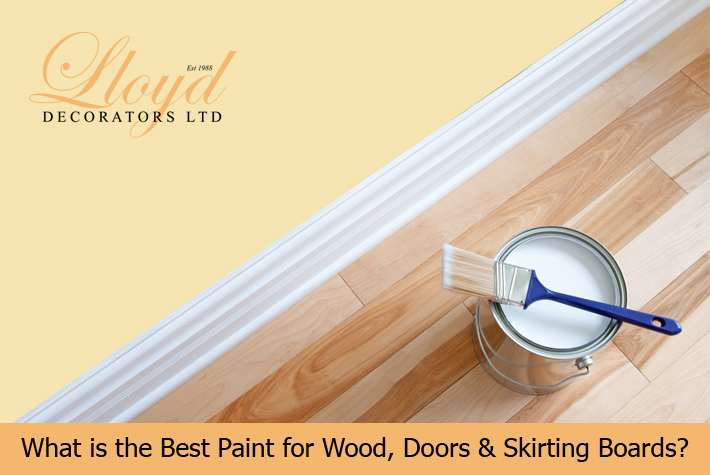 What is the Best Paint for Wood, Doors & Skirting Boards? Now there’s a question for you. Which is best? • Gloss – a shiny high sheen finish that is almost reflective in effect. Always popular because of its hard-wearing nature but other products also offer this these days. A drawback is that the glossy sheen will highlight any flaws and defects in the wood being painted. • Satinwood or Satin – this is a semi-gloss finish, a midway choice which is not as reflective as gloss nor as matt as eggshell. A satin finish really enhances work on fairly large surfaces such as internal doors, especially those that are textured or panelled, giving a crisp, clean look. 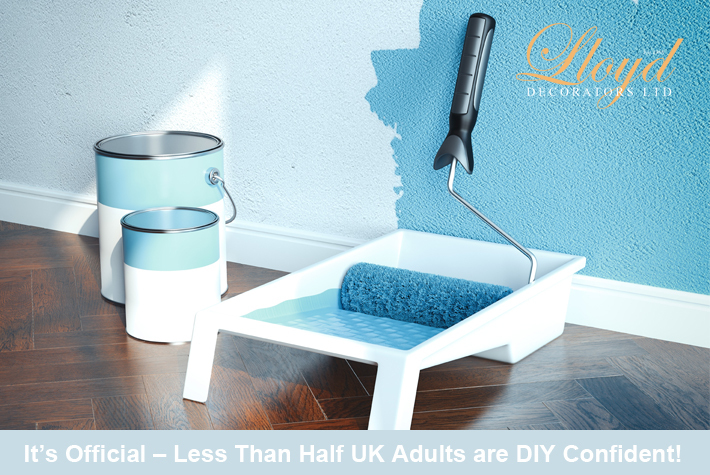 It’s Official – Less Than Half UK Adults are DIY Confident! I have thought this for a while and now an official study has confirmed that fewer than half of the adult population are confident undertaking DIY projects in the home. The study was carried out by Local Heroes, a home improvement and repair service backed by British Gas. 2,000 adults were involved in the survey and just 41% said they felt positive and confident enough to tackle DIY jobs around the home, preferring to employ a local tradesman to do the job instead. 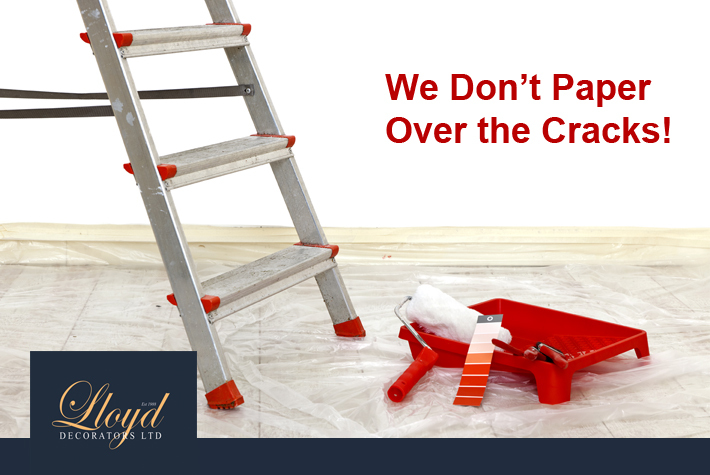 We Don’t Paper Over the Cracks! In my mind prepping a room for decorating is the one big thing that separates a professional decorator from an amateur. While an amateur is prepared to cut corners to rush to get a job finished I will always take my time to get it absolutely right. Here are some of my tried and tested prepping methods. 1. Remove the furniture. It sounds simple, but you’d be surprised how many people leave furniture in a room and try and paint round it. You are virtually guaranteed a disaster. If you do have a piece of furniture that just will not fit through the door, place it in the centre of the room and ensure it is properly covered up and protected. 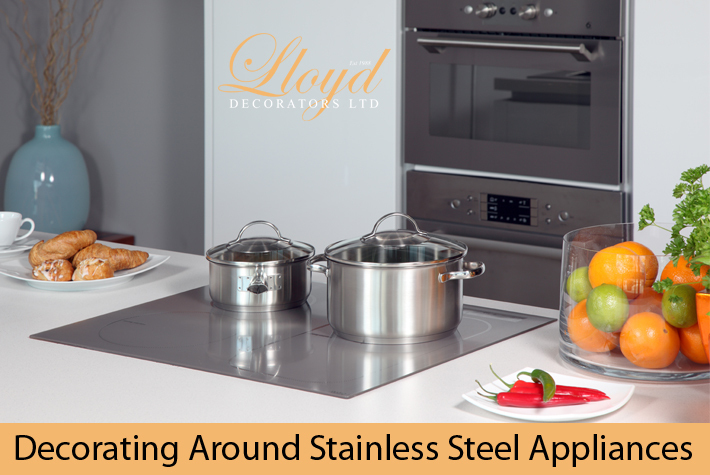 Stainless steel has proved to be a real boon to kitchen design. Not only does it have a smart, modern look and feel it is also long-lasting and easy to clean and maintain. Not only that, you can match it with a host of essential kitchen accessories made from the same material, such as kettles and toasters. Assuming you are not going for the heavy industrial look, incorporating stainless steel tables and worktops, then you will need to decorate around the appliances. Here are some suggestions for the best colour schemes to go for. Black. Black for me always says sophistication. In the context of a kitchen around stainless steel appliances it will appear striking and very modern. Beware the Dangers of DIY! Yee Ha! 5 Common Cowboy Decorating Errors! What do Dads Want for Father’s Day? No DIY!